I feel it necessary to declare the Office of the Presidency vacant, there is no President. How can it be that America has allowed the Office the President to remain vacant? Clearly I know within the Constitution there was every provision made, and such needs were so written by the good words of Thomas Jefferson within the Declaration of Independence. Clearly each document intended for the citizens to remain attentive, thereby putting into motion each check and balance set forth; but I see this not being exercised. You wonder, there was an election, a man was put into this position so why would I speak of emptiness; quite simply to be elect does not fill the position unless certain criteria is fully met. The President of the these United States must clearly be a man who shares the principles as our Founding Fathers and know that above all things liberty be the corner stone of our foundation, our creator the guide and each stone of the foundation a right of each the citizen. Such a man shall be chosen by the people and the people shall have full disclosure of the man; enabling the people a fair assessment of his abilities and qualifications. Any such violation shall deem a man unqualified; why would a man not disclose to those he choses to serve, if not for reason of corruption? Any man so desiring to serve the citizens of the United States shall understand and know the Constitution, he must behold the document as the supreme law, that no man, not even he, can disrupt its contents or cause its destruction. No man is above the supreme law, each of us abide by it, knowing it is what preserves our freedom for all time. Accordingly the President shall have limited powers and understand this, he is not a ruler or despotic leader, he is a man of the people, elected by the people [to uphold the Constitution] as it clearly states. He serves the citizens only and never rules. He shall watch over the Congress and guide them in their duties, understanding the rights of the states is supreme amongst all laws, giving the people choices regarding the governing of all. I see no limitation upon the man who resides within the White House presently, he is a man of great ego and is weak of humility. He has pronounced himself the great leader, torn at the Constitution, given it no supreme status, dictating his own laws with no regard for the people, their rights, liberties or freedom. We have seen, witnessed the Trojan horse entering our country, the true agendas and characters hidden from the people, how then could they elect fairly? My dear patriots, I am saddened to see this event unfold, the election a scam upon the people, and they so desire their freedom, trying with great effort to bring about a change, restoration of what was. 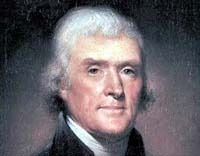 It cannot be restored until the Office of the President is filled, a man so dedicated to the people needs come forward, stand up, take up the cause with the people, guide them through what is mandated within the Declaration of Independence, remove and replace that which is corrupt, bringing the country back to its rightful, free foundation. Until then, we have no true President, that which is in the White House, does not act like a President, does qualify and therefore is not as such, President, The Office remains vacant.